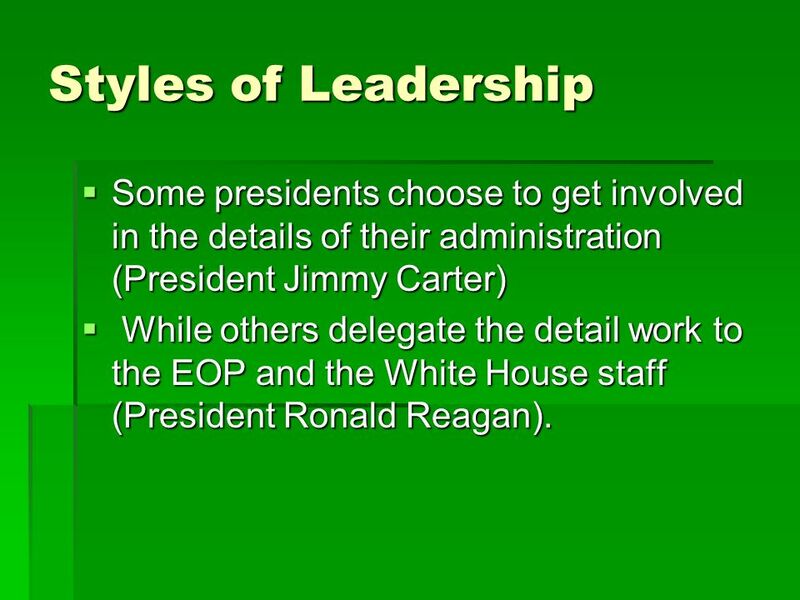 16 Styles of Leadership Some presidents choose to get involved in the details of their administration (President Jimmy Carter) While others delegate the detail work to the EOP and the White House staff (President Ronald Reagan). 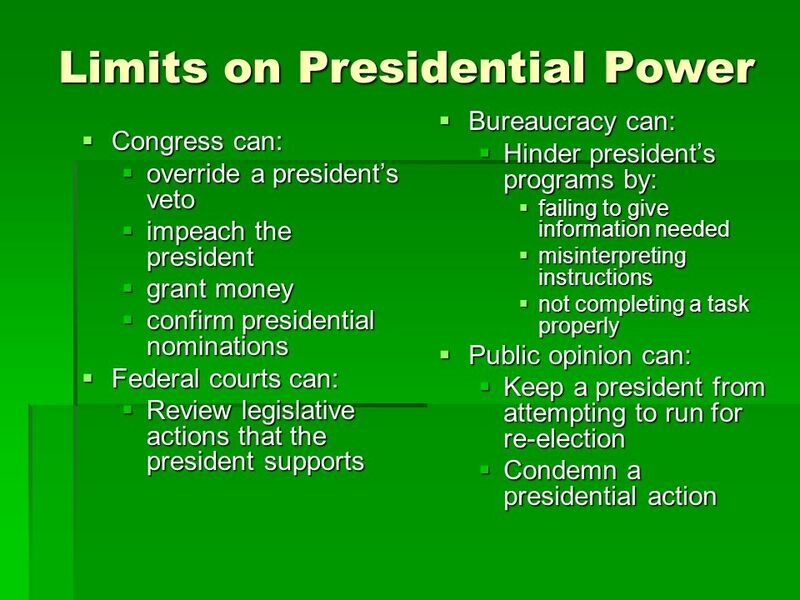 The President’s world (White House) is constructed to meet his needs and to support his views. 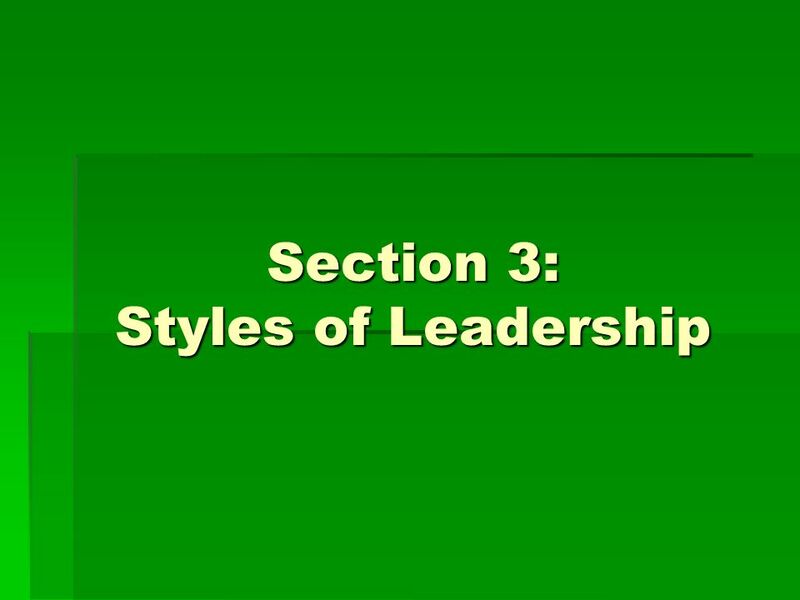 Staff members are discouraged to disagree with the President. 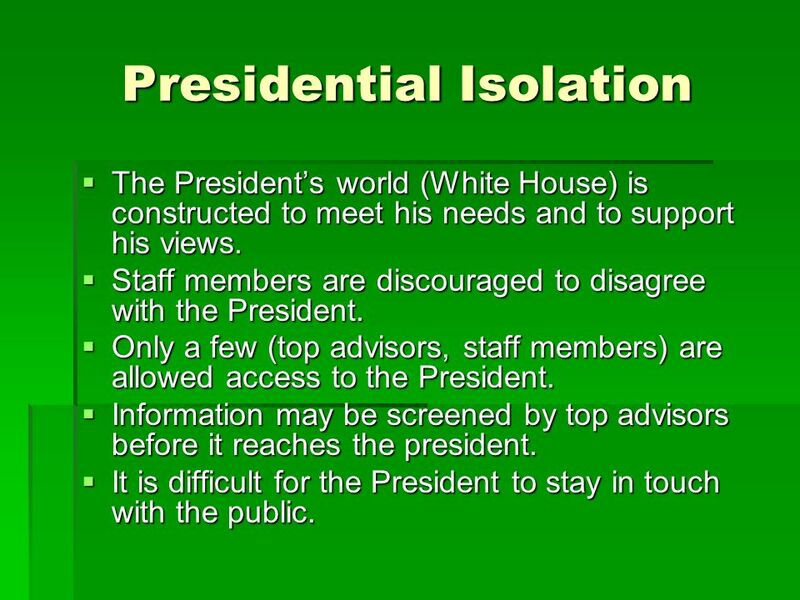 Only a few (top advisors, staff members) are allowed access to the President. Information may be screened by top advisors before it reaches the president. It is difficult for the President to stay in touch with the public. 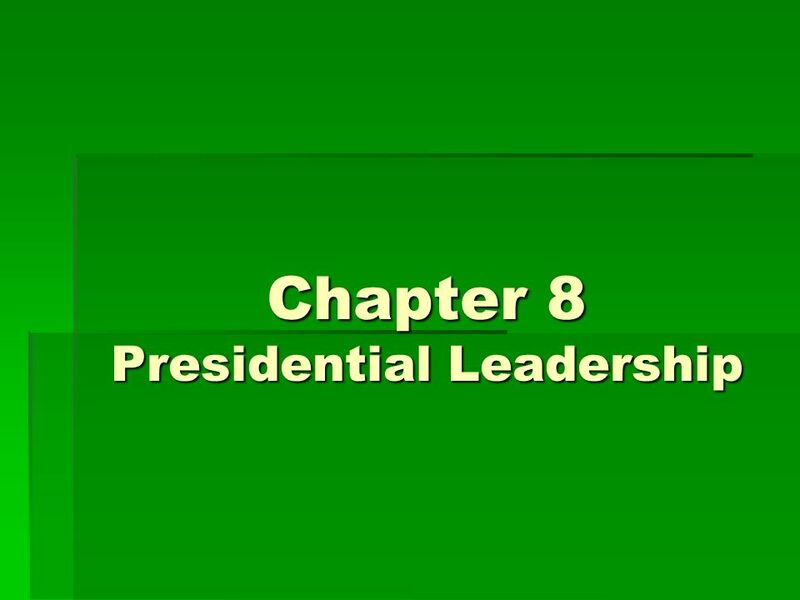 Download ppt "Chapter 8 Presidential Leadership"
Presidential Leadership Chapter 9. 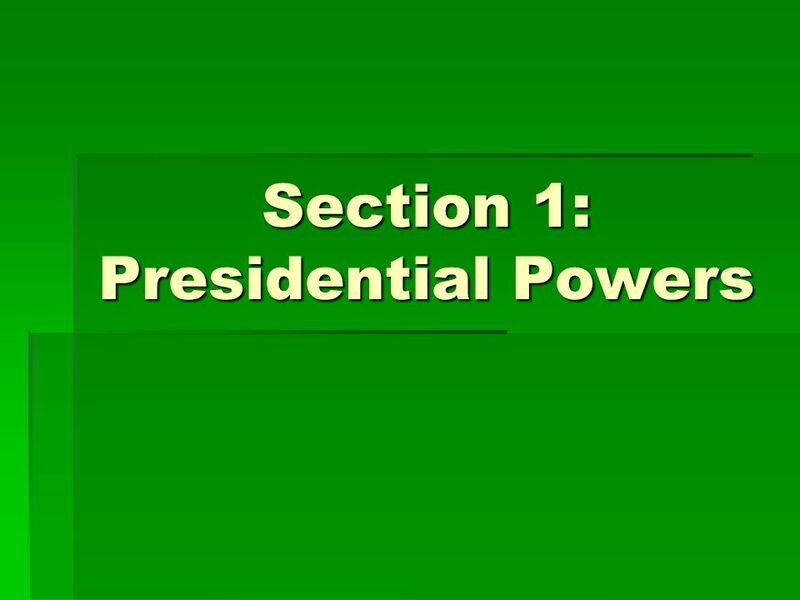 Constitutional Powers Presidential Powers in Article II Commander in chief of the armed forces Responsible for national. 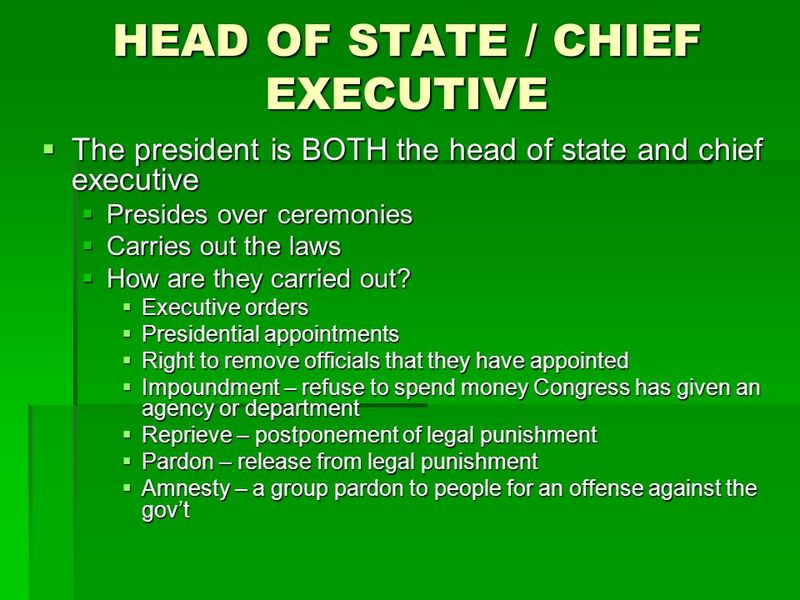 Executing the Law As chief executive, the President executes (enforces, administers, carries out) the provisions of federal law. 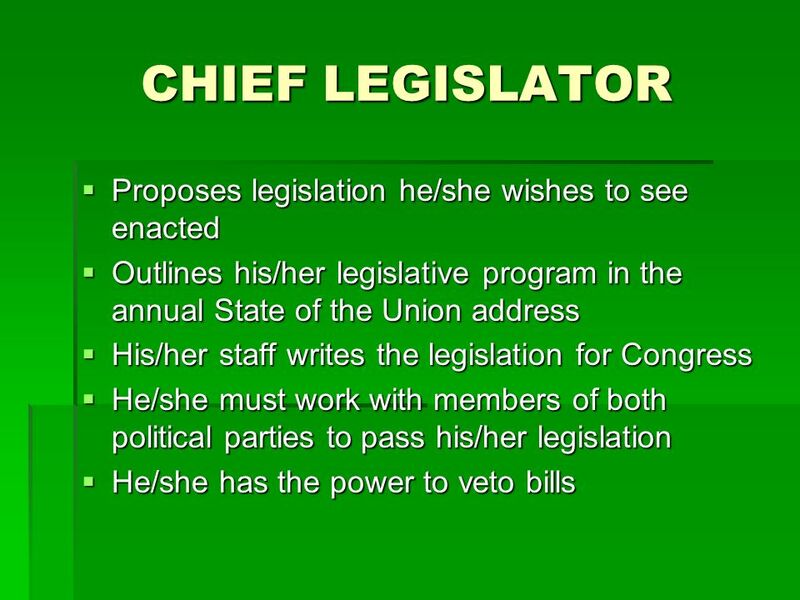 The oath of office instructs. 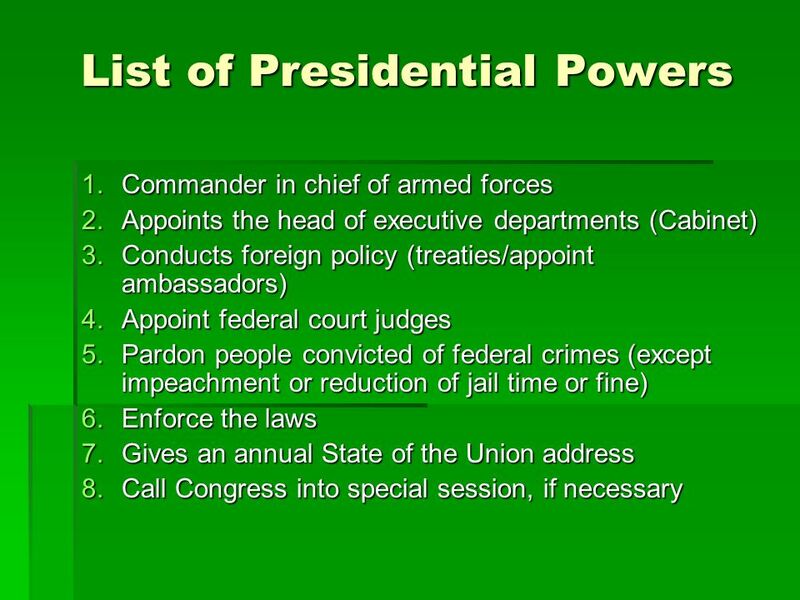 Warm Up: 12/03/13 1.List 3 specified powers of the President. 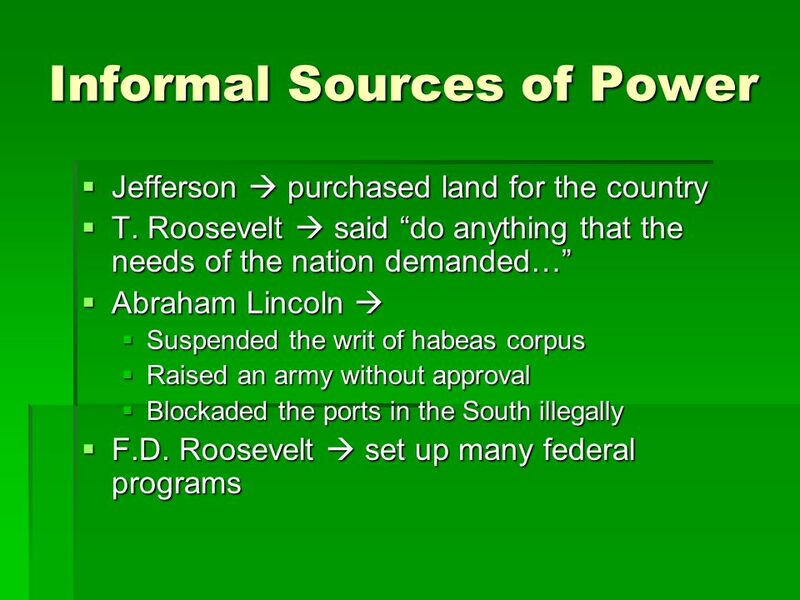 2.What are the four factors that have enabled the President to expand power informally? 3.What. . I. 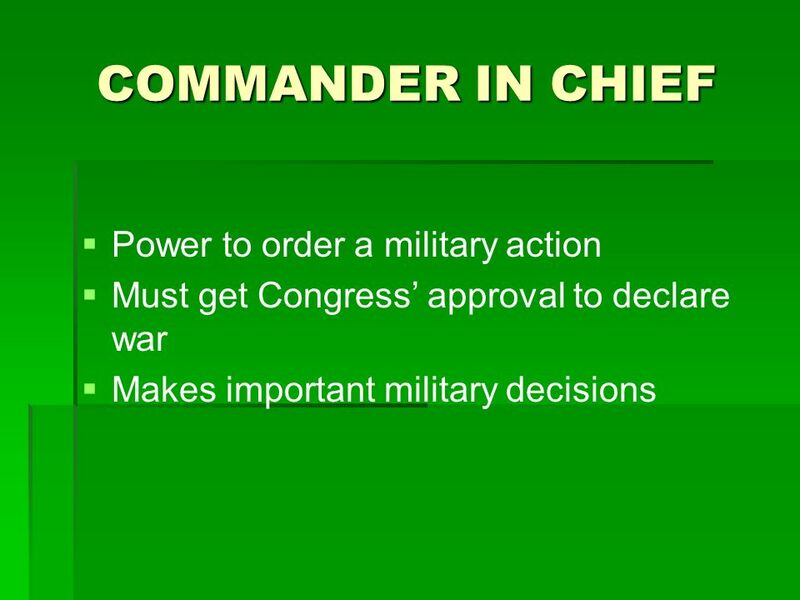 General Information A. 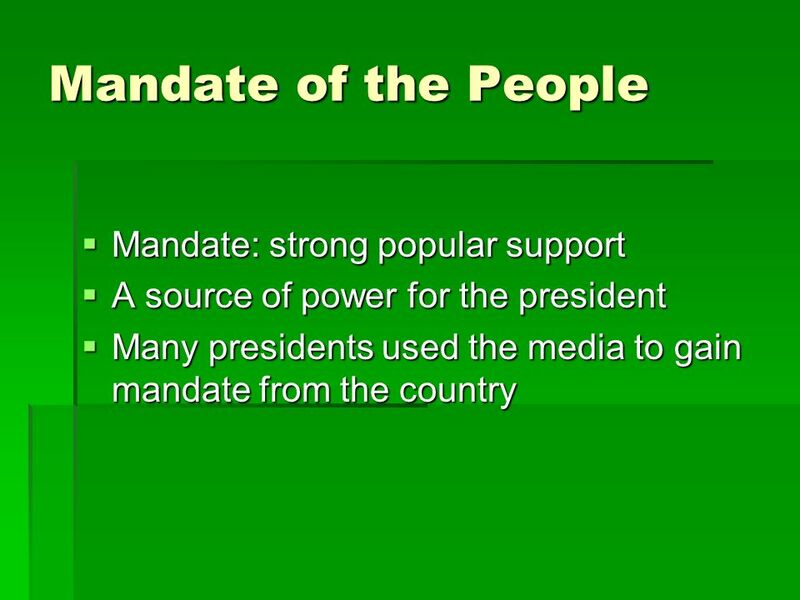 Constitutional Requirements 1. Natural-born citizen 2. At least 35 years old 3. 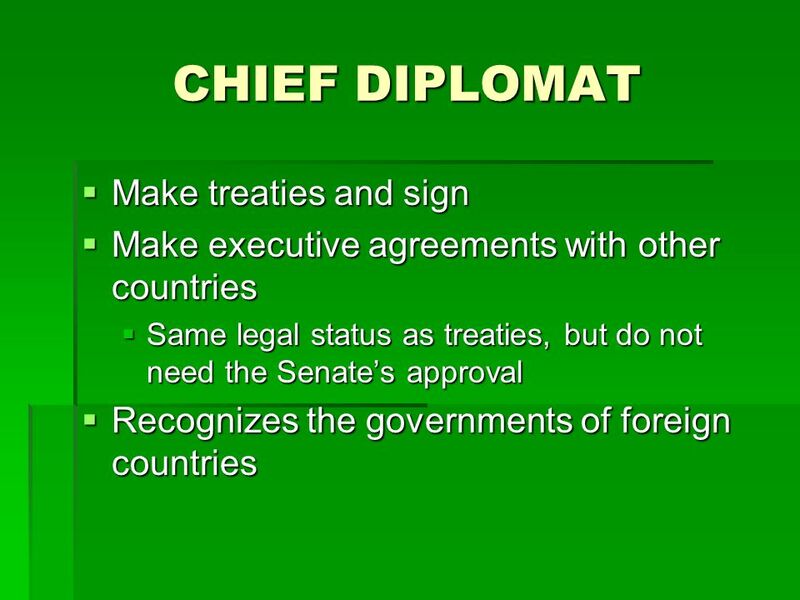 A resident of the United States for at least. Chapter 7.2 The President’s Job. The President’s Job Chapter 7, Section 2. 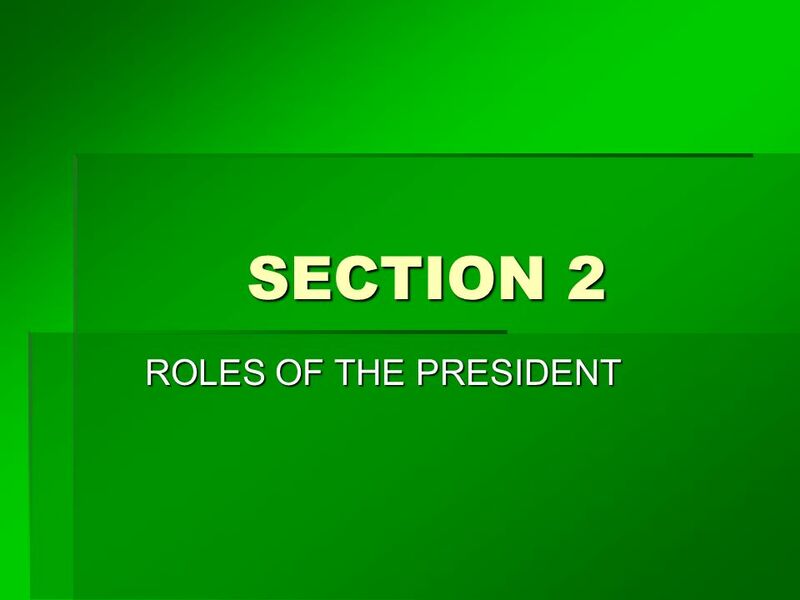 The President’s Job Chapter 7 Section 2. 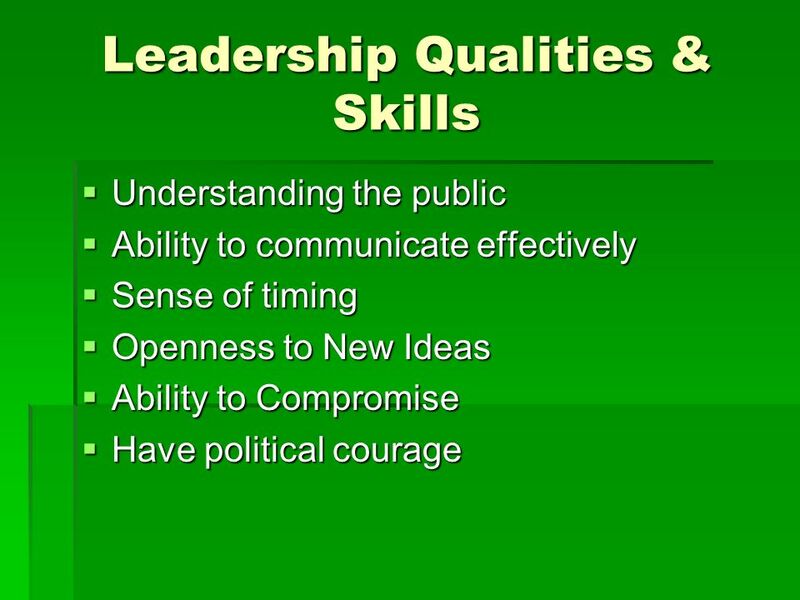 Presidential Leadership. 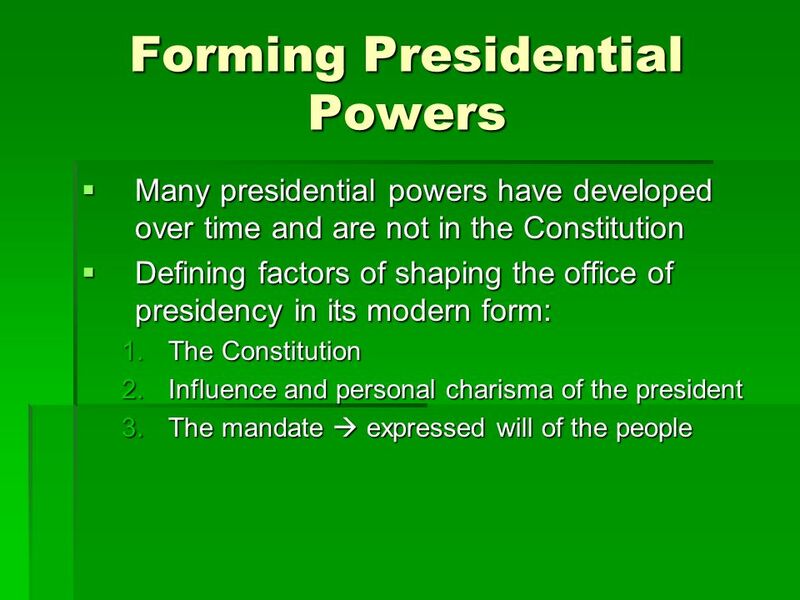 Presidential Powers  Need for a strong Executive ◦ The founders recognized the need for a strong executive. ◦ A strong executive. 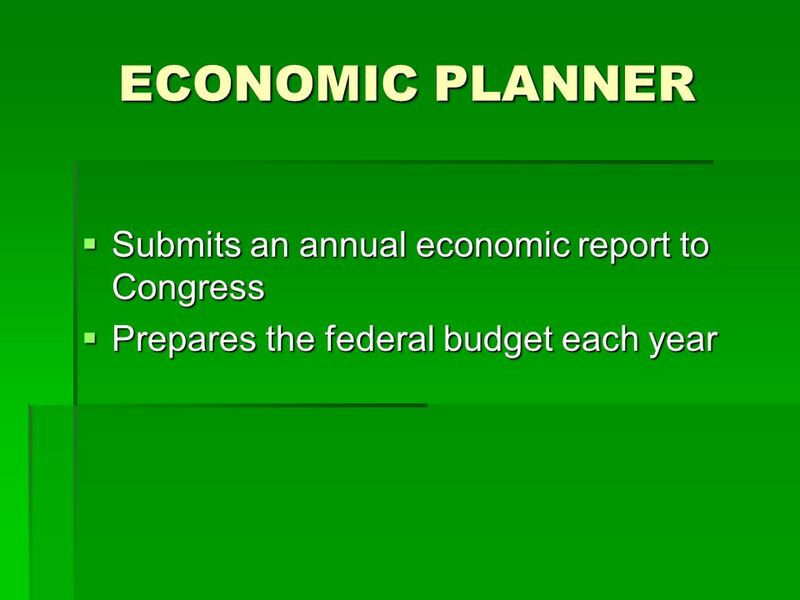 American Government Content Statement 5 The President’s Job Mr. Leasure 2014 – 2015 Harrison Career Center. 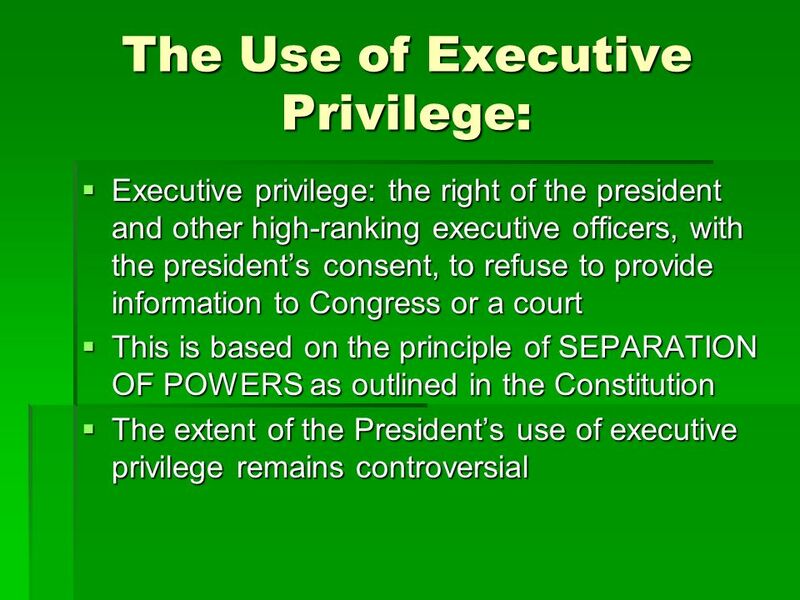  The executive branch of the Government is responsible for enforcing the laws of the land. 1. President 2. 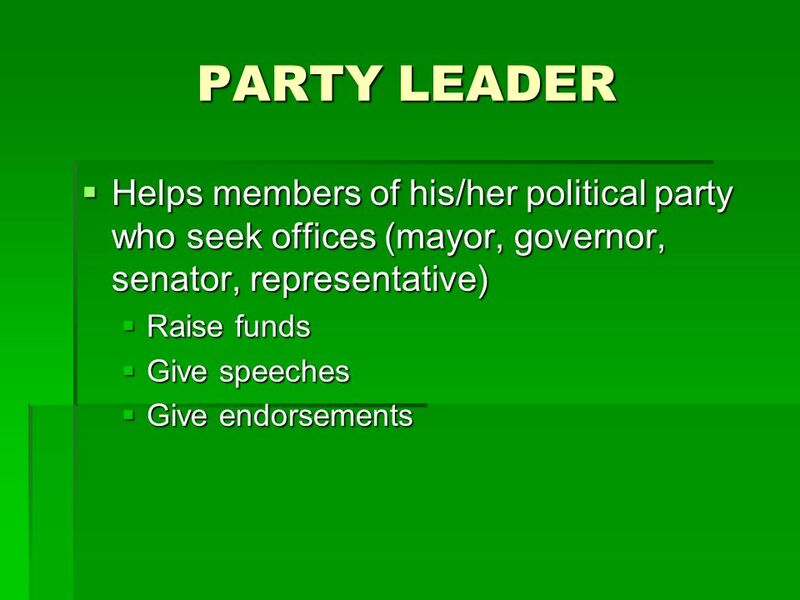 Vice President 3. Cabinet Members  Advises.